Coaching has become a lifestyle for me rather than just something I “do”. It permeates my personal and professional life in so many ways. Personally the skills I have developed through coaching have enhanced my relationships with my son and my husband – I listen first and give them time to come to the answers without jumping in with my opinions and judgements. 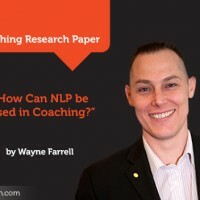 Coaching has also positively impacted my role in the Learning and Development field – today’s paper will focus on the specific areas coaching has contributed to my training practice and the learning I bring to my clients. Let’s set the context first. 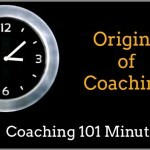 What am I referring to when I say “coaching”? The objective of coaching is to help move our clients forward; to assist them in achieving their goals. The tools of coaching include asking great questions and conducting appropriate exercises to create awareness in the client and help them reach their own solutions. Coaching is a dance in which the client is the lead. Or more specifically, what is training? Training is providing knowledge to an individual or group of participants that they didn’t already have. Training can be far more directive than coaching, although it doesn’t have to be. Often, with training sessions we assume the knowledge and answers will come from the trainer and be delivered to the participants. 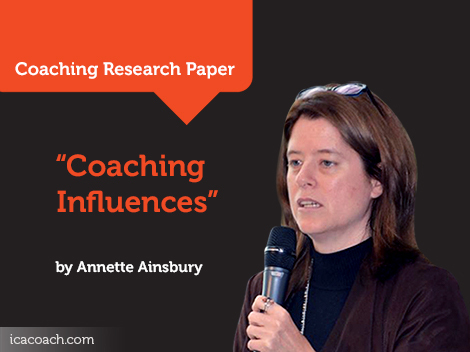 Whereas in coaching we assume the client has the answers; that the coach’s role is simply to help them uncover them. How has coaching enhanced and shaped my learning and development practice? It’s easy to assume in a training session that the trainer is the person with the knowledge and that their role is to share that knowledge with the attendees. However, what coaching has exposed me to, is the value of mining the knowledge that each participant brings to the session. We now shape our training sessions so that the knowledge is coming as often from the participants as it is from the trainer – we often use tools such as group work, asking questions and discussion rather than lecture. More specific examples of how training skills and tools have enhanced my training practice are discussed in the next section. How has L&D enhanced and shaped my coaching practice? While coaching has had the bigger influence on training, I would be remiss in not highlighting the areas where L&D has enhanced my coaching practice. The classroom is an excellent opportunity to build and try out powerful questions – the reactions from participants help determine what might work best in particular coaching scenarios. The classroom is also an ideal environment in which to hone active listening skills. To be effective, the trainer needs to fully understand and accurately respond to the questions that are being asked – and unlike a one-on-one coaching scenario, in the classroom these questions can come fast and furious. It’s also critical that the trainer is watching and listening for what is not being said throughout the classroom so that no one is left out. More details on how L&D influences coaching are listed below. The ICF Code of Ethics emphasize a number of behaviours that are essential practices for coaches. There is often overlap between coaching and training situations so it is therefore essential that the code of ethics applies to both environments. For example, avoiding misrepresentation, recognizing personal issues that may interfere with coaching and/or training, confidentiality, avoiding conflicts of interest, etc. On our Learning and Development team we have introduced policies and practices that will ensure, regardless of whether you are training or coaching, that ethical behaviour is demonstrated at all times. I recently completed a short series of coaching sessions with a client. After three sessions it became very clear that the client was not aware of any issues needing to be addressed – that they were participating in coaching because their manager had recommended it. It was quickly evident to both of us that they were not prepared to self-assess and were not interested in moving forward. Creating awareness is one of the most critical steps in any coaching practice. Without awareness, solutions and actions are simply not possible. In this particular example, the client was not aware of any performance challenges and further, was not willing to go down a line of questioning that would potentially open the door to awareness in this area. We mutually agreed that coaching was not the right step for this individual at this time. In coaching, the need for awareness is as true for the coach as it is for the client. Clearly the client needs to be aware of the challenge they are facing in order to work through solutions. But self-awareness on behalf of the coach is also essential to successful coaching. The coach needs to be aware of their own strengths and weaknesses and should be constantly “checking in” on what they are bringing into each coaching situation. The coaching certification process has increased my appreciation for the importance of awareness in the training environment as well. For example, we have adapted many of our training courses to include self-awareness exercises. We recognize that in order for the student to take away the needed learning, they first need to identify and accept where their growth opportunities lie. As with coaching, awareness is also a critical skill for the trainer in each and every session –awareness of the strengths, challenges, judgement and energy a trainer is bringing in a training session can help them make the necessary adjustments or build in the appropriate strategies. For example, if a trainer is self-aware enough to know they are not strong technically they ensure the appropriate technical expert is supporting their training in the class. And if they are aware that their energy level is likely to be lower for a particular session (perhaps because this is the last in a series of multiple, day long sessions), the trainer can compensate with appropriate food and sleep and/or may make adjustments to course delivery (e.g. more group exercises vs. lecture style learning). Awareness can make or break both successful coaching and training. Coming from a consulting and L&D background, I built my career on assessing/judging and then advising the client(s) on how to move forward. Letting this go for coaching was not only the most difficult transition for me to make it has also been the most enlightening. I have learned the value of empowering the client to guide their goals and direction rather than immediately moving to judgement and advice. In the classroom, when a question was put to the instructor, we would instinctively jump to the answer. Coaching has taught us to probe and ask questions to (a) ensure we fully understand the question and (b) enable the participant to reach their own conclusions. This approach not only ensures the answer is customized to the client’s needs but it also opens the door to some excellent group discussion on different points of view and approaches. As a result, all participants benefit from multiple perspectives and approaches and not just the approach recommended by the trainer. Coaching has also made it clear that I, as trainer, do not have all the answers (and that I don’t need to). It’s been quite freeing, actually, to invite the whole classroom into the teaching role – there is so much shared knowledge in the room that it is a shame to let it pass by without tapping into it. In this area coaching has definitely had the larger influence on my training practice, rather than the other way around. Coaching is about moving forward. I would estimate that about 80% of my coaching engagements start with the need to clarify goals with the client before we can begin working on moving forward (in many cases though, the client starts with clear goals they have already defined). I often find the client’s intentions are wrapped up in emotions and underlying beliefs that, when brought to the surface, influence the true outcome the client is seeking. I worked with one client who spent the first two sessions sharing stories from his workday that ranged from conflict with management to workload and everything in between. We spent the next few sessions unravelling these stories and defining client goals. Then we needed to spend time prioritizing goals. Training should be about action as well. Not all participants attend a training course with clear goals in mind. Coaching has heightened our awareness of the importance of, not only general course goals, but specific individual learning goals. As a result, we dedicate time at the outset of every training session working with participants to define these individual goals. Once the goals are defined and shared with the instructor, we adapt the course as much as we can to best meet the needs of the participants in the room. For instance, we offer a course on Creating Strong Teams, within which we cover 9 elements to strong teams. We use the initial goal setting exercise to guide us in terms of which of the 9 elements we explore in the greatest depth. As well, we will shortly be implementing a new metric to assess whether the learning is having the impact the participants hoped they would, in the areas they defined as important to them. 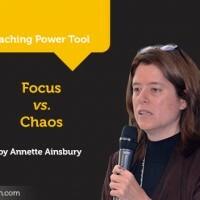 Of all of the various tools in coaching, “powerful questions” has had the widest reaching impact on both my professional and personal performance, including L&D. Approaching every situation with curiousity and armed with questions that provide deep insight is a formula that works every time. Because powerful questions are such an essential element of coaching and incorporated in pretty much every session, they become a way of approaching life – instinctual. Can you know that to be true? What would happen if you did take that action? What do you feel would be the perception from others if you behaved in that way? Would you do anything differently now that you know that? What’s one thing you might commit to after this session, big or small? Coaching cannot happen without trust and creating it can be tricky, particularly if the client has been asked by their manager or HR to participate in coaching. While I have yet to come across a situation where trust could not be established, each situation was unique as to the level of trust that could be reached. Some clients are prepared to fully commit to the coaching process and go with the flow. Others remain skeptical – not so much skeptical of me but of the process. Often the skepticism is simply part of the nature of the client – they question everything and choose carefully before committing. They like to dip their toe in the water and then work their way in gradually. Creating trust is also important in the classroom – what coaching has taught me is that there are differences in the level of trust participants reach. In addition, the approach to building trust in a coaching scenario is very similar in the classroom. Creating trust starts with building a rapport and getting to know each other a little better. This is usually pretty simple to accomplish in a one-on-one session but can be challenging with a group. However, through the coaching experience we have learned a variety of approaches that work to build trust – as each of the participants have different styles and needs, we incorporate as many “trust moments” as possible in a session. These moments might include: building trainer credibility, participant interaction, humour, sharing stories, etc. Why are you here? What brought you to this class? Tell me more about that (if a particular situation is shared). What is most on your mind right now? What has worked for you in this area? At this point, if there is an open exchange of ideas, the trainer can move to asking participants to share specific stories and/or start building solutions together. The more engaged the participant is in step 2 the more the trainer knows they can pull from the participants to move the learning forward, rather than providing direction themselves. If, however, the group is resistant to sharing (which can happen with a group of introverts for example) the trainer may choose to take the lead on providing the necessary knowledge and solutions. By contrast, the coach MUST achieve success in step 2 as it is essential the solutions come from the client in step 3. In one-on-one situations you can adapt your style and approach to the client – in a classroom you can adapt to the general atmosphere of the classroom but not to each individual. In an ideal learning environment, trust not only has to be established with the trainer, but also with all of the other participants in the room. So while trust is essential to coaching and training, and lessons learned through coaching can enhance the building of trust in training, there are some unique challenges in the training environment related to trust. Coaching is about moving forward – this might mean any number of things, including finding a solution for a problem, moving your career to the next step or building a new relationship successfully. Even when the client approaches coaching willingly, there can be, for a variety of reasons, challenges in moving the client forward. Perhaps they lack confidence or dislike change. Whatever the reason may be, energizing the client into action is an important way in which the coach supports the client. Energizing can be as simple as the tone of voice and positive attitude the coach brings to each session. It can also include helping the client realize their value, visualizing their success or demonstrating the empathy and support they need. Energizing may or may not be something the client needs from the coach – quite often I have found the client brings more than sufficient energy to move them forward into action. In the classroom, however, the trainer must bring a certain level of energy to each and every session. Each participant will differ in the level of energy and enthusiasm they bring – the trainer’s role is to bring everyone up a notch. By doing so, participants are more engaged in the learning and therefore more likely to move forward applying the learning outside the classroom. As with other areas of coaching, by learning about the unique needs and approaches that work with different clients, it fills the trainer’s tool box with more options to work with in the classroom. These can be scattered throughout the session to help create the needed energy. Some individuals bring a lot of their own energy to the session and are simply looking for the trainer to reflect this energy back with tone and attitude. For those who bring less of their own energy to the session, the trainer incorporates various exercises that appeal to different personality types. These might include group discussions, sharing stories, individual exercises, games, etc. A trainer, like a coach, needs to recognize very quickly the types of individuals they are working with and adapt their techniques appropriately. For example, introverts will not only bring a lower level of energy but will expect less of it from the trainer or coach – to move forward they need reflection time rather than enthusiasm. Extroverts on the other hand, are far less likely to engage without opportunity for them to express their energy, and will look for that energy to be reflected back by the coach or trainer. As described in the ICA module, Mindfulness is “a state of mind in which you observe thoughts, emotions or actions without judgement*…” Regarding observation, which we could also call “active listening”, coaching starts and ends here. The ability to be present and to truly focus on the verbal and non-verbal cues the client brings to each session is essential and enables the coach to accurately pull out the right tool from their toolbox to support the client. Perhaps the client needs a powerful question, or visualization or mirroring…there are innumerable possibilities. Honing mindfulness skills through the training process has made me a better trainer. Learning to be in, and stay in, the moment is a muscle that needs exercise. Each and every coaching session provides that exercise. It can be relatively easy in a training session to drift and lose focus on the participants; it’s not unusual for a trainer to be more taken up with their material than with the people in the room. Mindfulness teaches us to pay attention to the cues from the audience and adapt the training accordingly. For example, through mindfulness a trainer can very quickly determine if the class is more heavily weighted towards introverts. Should this be the case, a role play exercise might be adapted to a group exercise or an individual assessment as role plays are often very uncomfortable for introverts. Mindfulness also equips the trainer to more accurately address the questions brought forward by the participants – the trainer answers what is being asked rather than what they think they are asking. *See earlier in this article for my comments on “releasing judgement” and how it applies to coaching and training. I could provide many additional examples, beyond what are mentioned in this article, that demonstrate the strong ties between coaching and L&D. In fact there are very few, if any, areas of coaching that have not enhanced my L&D practice. While L&D has also had a positive impact on coaching, it’s the coaching tools that have really provided the greatest value in my professional life.